Neuropolitical started as a square capped variation of the <a href="http://www.dafont.com/search.php?q=neuropol"; target="_blank">Neuropol family</a>. 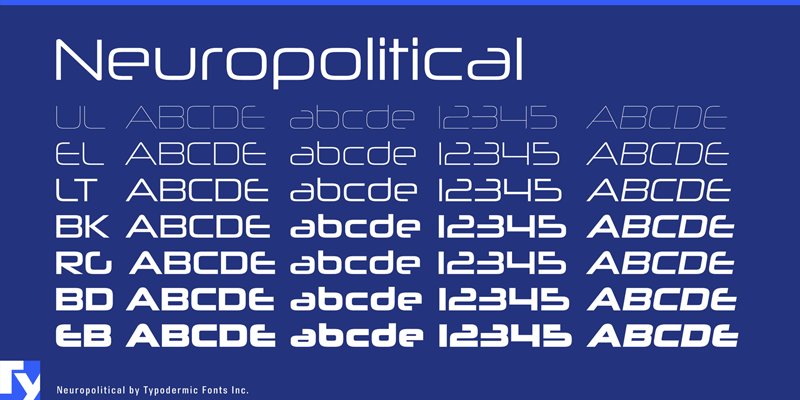 This wide, futuristic typeface comes in 7 weights plus italics. The desktop license for Neuropolitical regular is free.